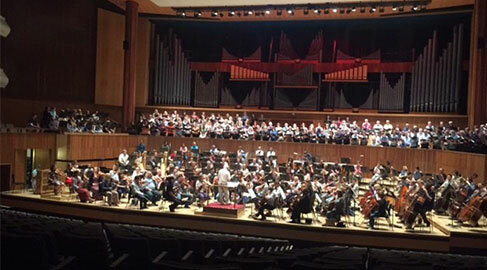 Last week music students performed in both Cardiff and London with the internationally acclaimed Philharmonia Orchestra, conducted by renowned maestro Vladimir Ashkenazy. 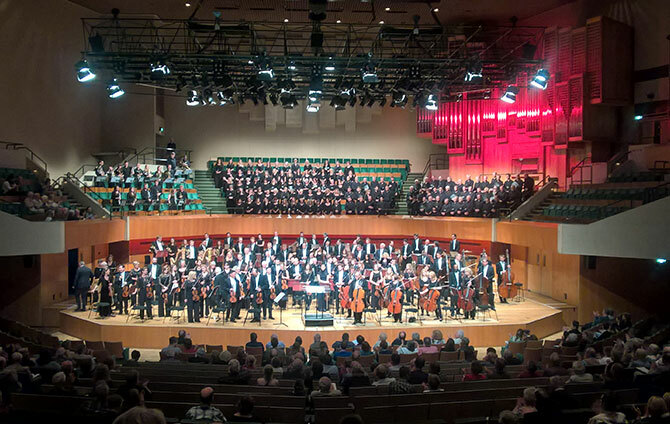 No fewer than seventeen of the College’s Brass and Percussion students performed at Cardiff’s St David’s Hall and London’s Festival Hall as part of the Voices of Revolution series, conducted by Ashkenazy. 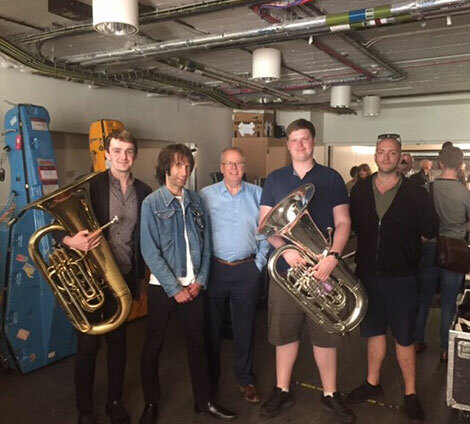 (L-R) Student Peter Greenwood, Teacher Dan Trodden, Teacher Nigel Seaman, Student Ben Pepler and Philharmonia Tuba Player Pete Smith. The program included Prokofieff-Cantata for the 20th Anniversary of the October Revolution op. 74 (1936-37) for double mixed chorus, military band, accordions, and orchestra. Here’s what people were saying over the weekend. Excellent night with @philharmonia @stdavidshall with all Prokofiev bill. Bravo to @philharmonia @thechoir @PhilharmoniaVcs @RWCMD @RoyalAcadMusic Vladimir Ashkenazy for magnificent performance of Prokofiev’s Cantata for 20th Anniversary of October Revolution.